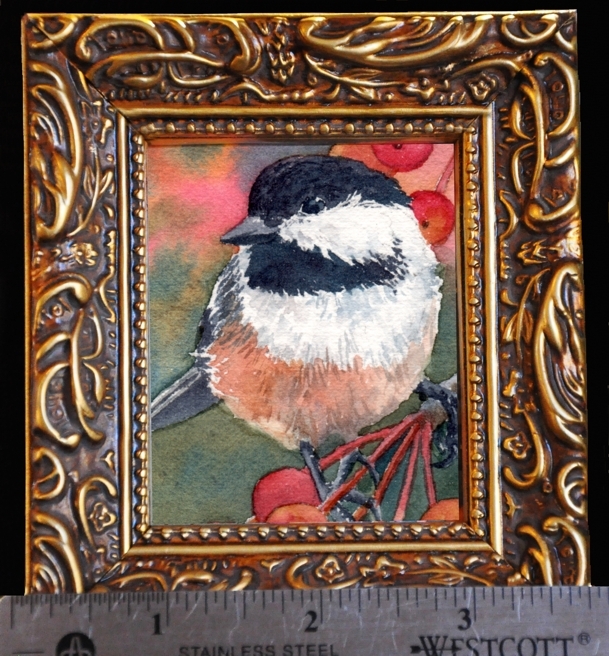 This is a miniature watercolor of a Black-Capped Chickadee on some beautiful read and gold berries. This watercolor painting is 2 inches by 2 1/2 inches and comes framed with a velvet ribbon ready for hanging or an easel stand on the back for placing on a table. Please check out my auction at Daily Paint Works. Thanks. I like painting these miniatures and the black-capped chickadees especially!